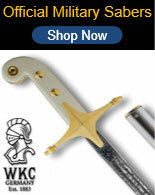 US Army NCO Swords for sale are available in a variety of blade lengths to provide a customized fit. These swords feature a tempered stainless steel blade that has been hand polished to a mirror finish. 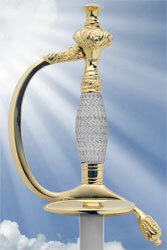 The 24kt Gold plated pommel and 24kt gold plated guard fittings are made of intricately cast solid brass. The grip features a silver-plated brass wire wrap. The black real leather covered scabbard features 24kt gold plated brass mounts. These military swords include a cloth storage bag. Buy the US Army NCO Swords for $319.99. Custom 1840 NCO Swords are 39 inches in all. These popular ceremonial swords are designed like the historic military sword that was used by the army and adopted in 1840. This modern version features a polished unsharpened carbon steel blade. 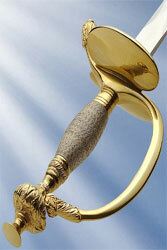 The entire hilt is brass-color metal with a ribbed grip. The brass-color metal guard features the famous kidney shape. 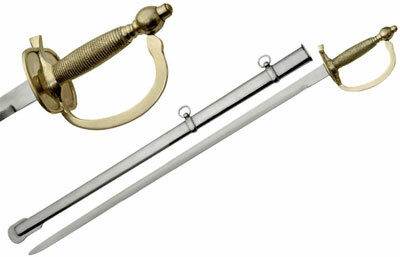 These non commissioned officer swords feature hanging loops on the steel scabbard. 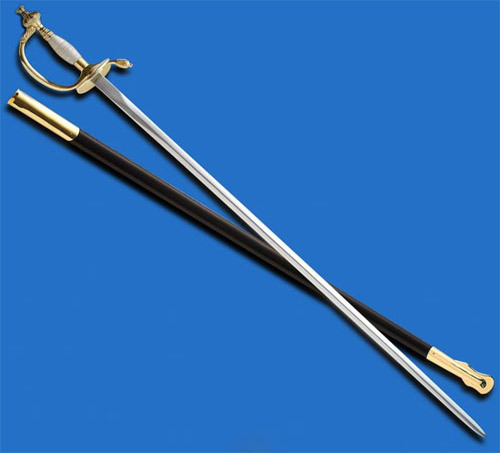 Buy the popular 1840 NCO Swords with etching services for $104.99. Laser Etch up to 60 characters on this sword. Swords can be individualized with a name, phrase or credentials. The etching will be placed above the guard on the right side of the sword and will read from left to right or from the hand guard to the blade point of the sword. After purchased, just fill out the laser details form here.